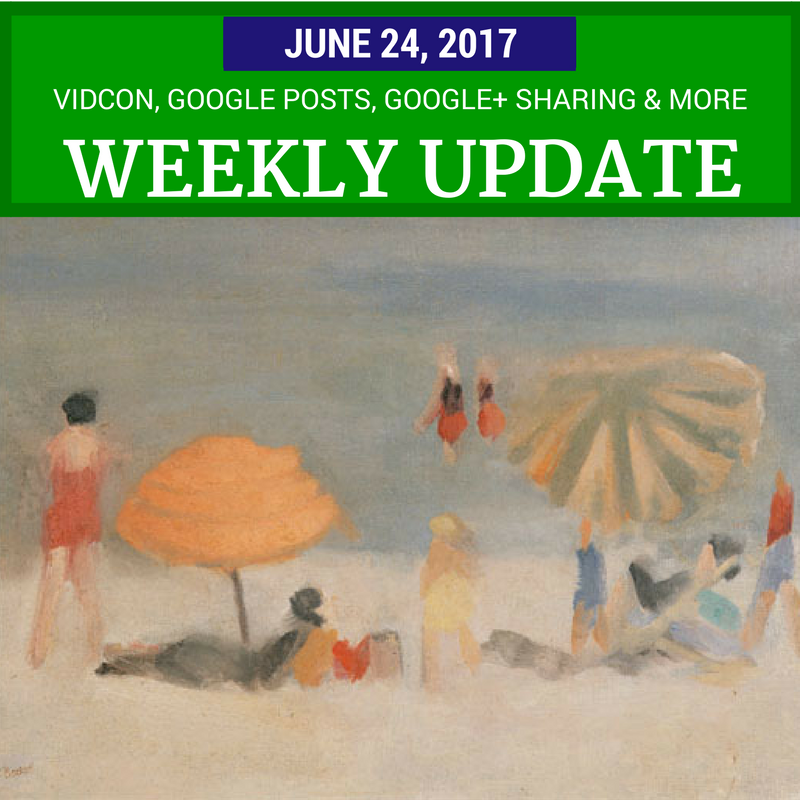 VidCon US was this week, and YouTube had a big presence, including a live show with YouTube stars, and a Keynote address from CEO Susan Wojcicki hosted by Rhett and Link. There were some stats - 1.5 billion logged in viewers visit YouTube every month, and viewers spend over an hour a day watching YouTube just on mobile devices. And, of course, there were announcements: a new VR180 video format for virtual reality, mobile sharing rolling out to more countries, improvements to the YouTube mobile apps, 12 new YouTube Red shows and 10 new YouTube TV markets, and more. See the full list of VidCon links below. The Google+ share button on desktop now just reshares to Google+. That means fewer clicks if you just want to share on Google+, but it’s a but harder to share to Twitter, Facebook or copy the post link. Google Posts rolled out worldwide in Google My Business. These are time-limited posts that appear in the business’s Google search results Knowledge Panel and Google Maps listing. Google announced that they will stop scanning your Gmail email to personalize the ads they deliver. Plus there are tips and updates for YouTubers, Live Streamers, Plussers, Business Owners, Allo, Project Fi and much more! Deal time: Order a Pixel or Pixel XL through Project Fi and get a Google Home. Plus you can get your first month of Fi free!